Barbara Gamble is my 4th great grandmother. I have found her name and relationship to John L Gamble in his military pension papers. 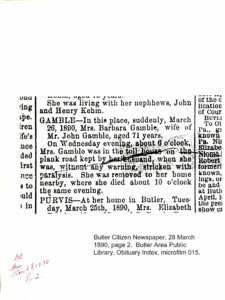 Using the obituary index on the genealogy page at the Butler Area Public Library, I ordered a copy of Barbara’s obituary. 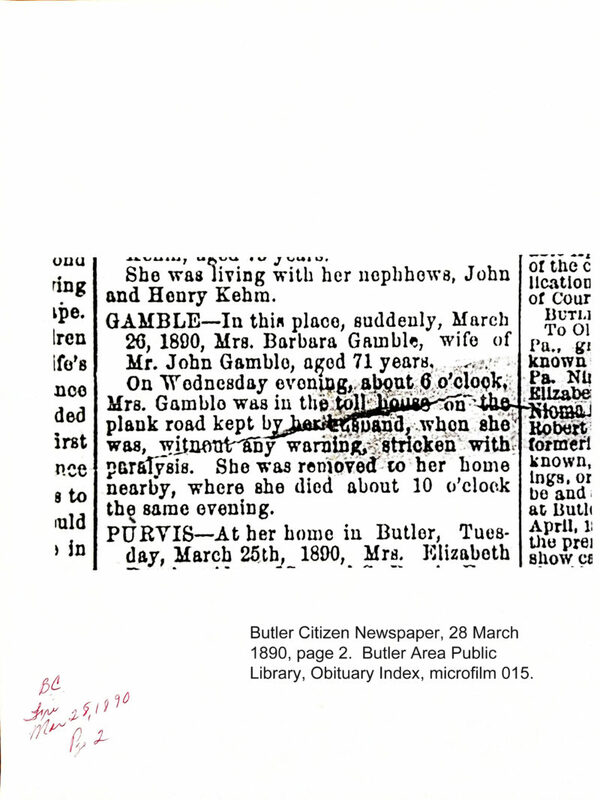 Butler Citizen, 28 March 1890, Page 2, Column 2, Film # 015, Butler Area Public Library. 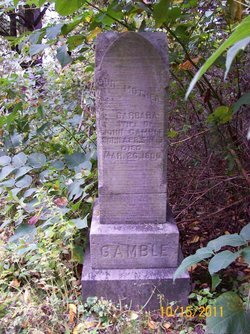 GAMBLE – In this place, suddenly, March 26, 1890, Mrs. Barbara Gamble, wife of Mr. John Gamble, aged 71 years. On Wednesday evening, about 6 o’clock, Mrs. Gamble was in the toll house on the plank road kept by her husband, when she was, without any warning, stricken with paralysis. She was removed to her home nearby, where she died about 10 o’clock the same evening. In the military pension papers for John L Gamble, I identified the names of my 4th great grandparents, John Gamble and Barbara Frick. 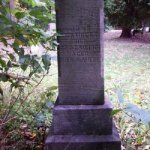 I was able to find their gravestones on Findagrave.com. They are buried together at South Cemetery in Butler, Pennsylvania. A google map of Butler shows the cemetery on South Main Street. I would like to thank “Me” who has posted over 41,000 memorials to Find A Grave. 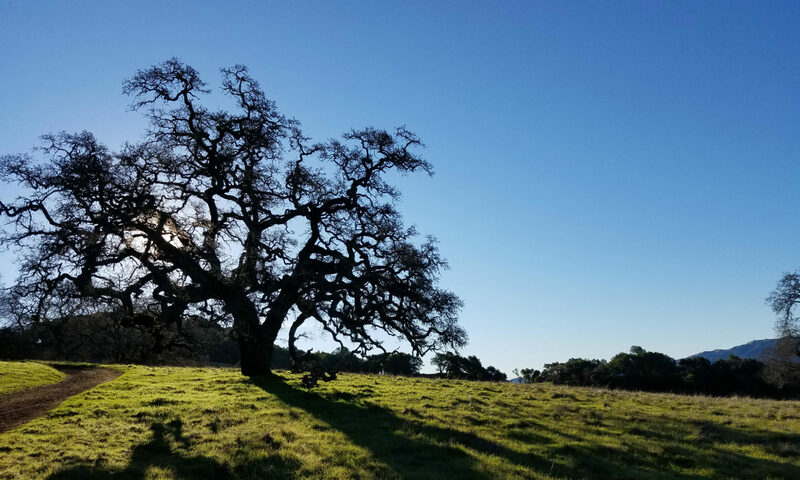 Another thank you for posting permission to the contributor’s bio to use the photo. Our Mother, Barbara, wife of, John Gamble, born Apr 5, 1819, died, Mar 26, 1890. FindAGrave.com, digital images (www.findagrave.com), accessed 2 December 2014, photograph by “me”, gravestone for Barbara Gamble (Apr 5 1819 – Mar 26, 1890), Find A Grave memorial # 68540886, South Cemetery, Butler, Pennsylvania. Our Father, John, Gamble, died, Sept 30, 1901, aged, 85 years. 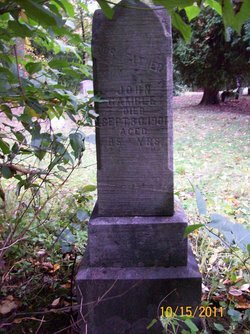 FindAGrave.com, digital images (www.findagrave.com), accessed 2 December 2014, photograph by “me”, gravestone for John Gamble (Sep. 30, 1901), Find A Grave memorial # 68540887, South Cemetery, Butler, Pennsylvania. The Pension Questionnaire completed by John L Gamble outlined the family he had with his wife. The first page of his Deposition A given 15 October 1900 outlines the family he was born into. tinguish myself from other John Gambles. Samuel Gamble, J.P., at New Kensington, Westmoreland Co., Pa, 63 yrs. Michael F. Gamble, merchant, Ponca, Dixon Co., Nebraska, about 45 yrs. old. Mrs, Mattie, widow (?) Johnson, Butler, Butler Co., Pa., about 52 yrs. Mrs. Mollie, widow John Albrant, Jamestown, Chautauqua Co., N.Y., 48 yrs. Mrs. Lydia, wife Elmer Yarger, oil-well-driller, Butler, Pa. 38 yrs. old. people have always lived in the vicinity of Butler town.